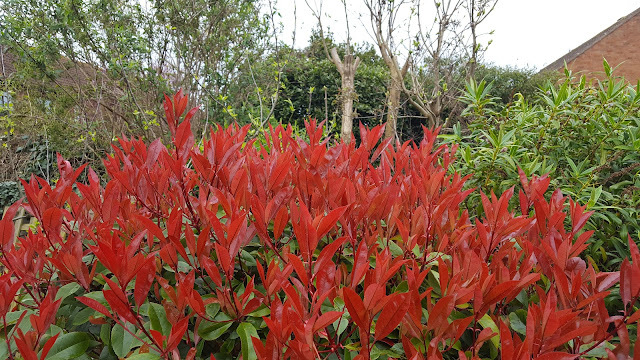 Commonly known as the 'Christmas Berry' Photinia x fraseri 'Red Robin' is an attractive evergreen, ornamental garden plant noted for the bright-red colouration of ts spring growth. It was first discovered in 1943 as a seedling (believed to be a hybrid of Photinia glabra and Photinia serratifolia) in Fraser Nurseries in Birmingham Alabama in 1943. The 'Red Robin selection was developed later on in New Zealand, and has now become the most popular and compact of all Photinia species and hybrids. It is a dense medium-sized shrub of erect habit which under favourable conditions can be expected to reach a approximate height and width of between 2.5-4 metres. The glossy, elliptic leaves are sharply toothed and can be up to 10cm in length. The new leaves emerge bright red, fading as they mature to become later dark green. The sparse, creamy-white flowers are borne mid to late spring. 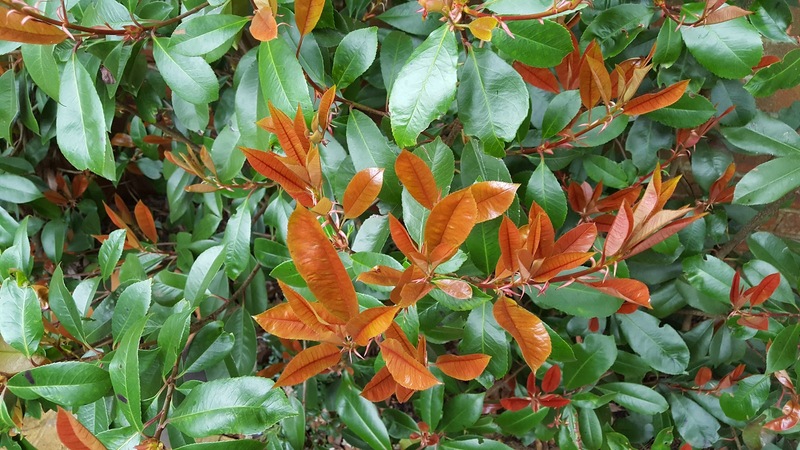 Photinia x fraseri 'Red Robin' is tolerant of most soils, even clay as long as it has been improved by incorporating well-rotted compost or manure. However it will perform best in a fertile, moist, well-drained soil. Avoid heavy clay or waterlogged conditions. It has proven to be hardy in most areas of the UK, able to withstanding temperatures down to -12°C. Be that as it may, Provide a sheltered position in sun or partial shade as the young shoots can become scorched by cold or drying winds and late frosts. Newly planted specimens will need to be watered during their first year, especially during periods of prolonged drought, but once they become established they have proven to be reasonably drought resistant. Photinia x fraseri 'Red Robin' received the Award of Merit from the Royal Horticultural Society in 1977, and the Award of Garden Merit in 1984.